This is a great quote by Marilyn Monroe and gives us all a fresh way to look at not only what it means to be beautiful, but also how we should live our lives. It is far more beautiful being ourselves, even if we seem a bit mad and crazy at times. Remember that imperfections are only a social construct, so we are all perfect and beautiful as we are. 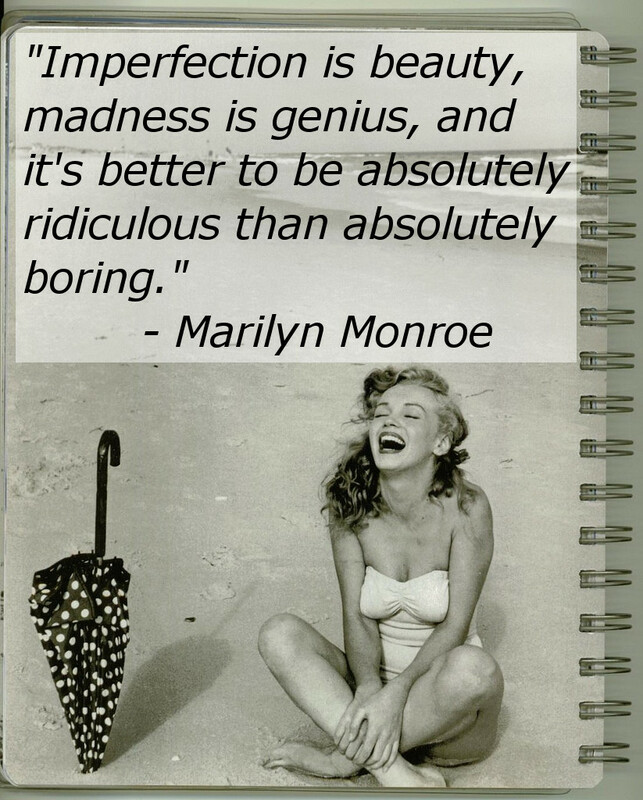 So don't be afraid to be ridiculous, because deep down, everyone really is!